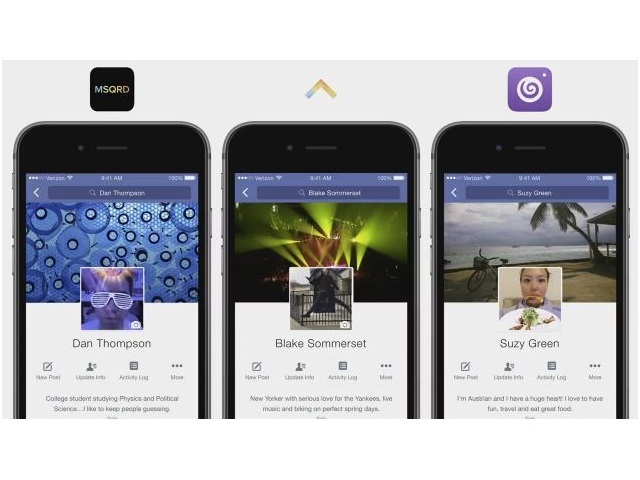 Facebook began testing video profile pictures for iPhone users last September, and the social network is taking that one step further. With more than 4.5 billion views and nearly 30 million profile picture updates every day, Facebook profiles have become the best place to curate your own identity and learn about others. Last September, we launched profile videos to give people a new way to bring their profiles to life. We were blown away by the positive response of profile videos and the variety of creative ways people used them to show off their personality. Today, we’re further unlocking this creativity and lowering the barrier to expression by releasing the Facebook Profile Expression Kit. The Facebook Profile Expression Kit lets people share videos they make in third-party applications directly into the Facebook profile video flow. Developers enjoy attribution within News Feed every time someone uploads a profile video created by their app. If you have or are building a video app that can help more than 1.5 billion people better express themselves, you can learn more about the SDK (software-development kit) here and apply for consideration as we expand access to additional developers. Readers: Are you thinking of ways to spruce up your Facebook profile pictures?